The goal of this study is to delineate the role of advanced urologic evaluation with urodynamics prior to renal transplantation. We seek to report on its indications, possible findings, and subsequent treatment pathways. This body of literature is largely comprised of retrospective, single-site studies. Patient selection for urodynamics can be determined based on patient history and voiding symptoms. Many of these renal transplant patients have urodynamic abnormalities such as decreased bladder capacity and compliance. Appropriate treatment of these abnormalities allows for average rates of graft survival. Urodynamic evaluation is not needed in every renal transplant recipient. However, in patients with oliguria or bladder dysfunction, urodynamics can often reveal significant pathology. 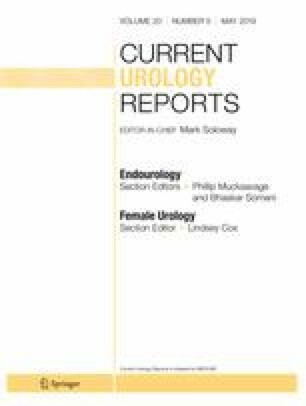 The well-selected patient with lower urinary tract symptoms may also benefit from urodynamic evaluation. Treatment options are widely variable, from observation to reconstructive surgery, and should be based on the patient and urodynamic findings. Temitope Rude, Nima Nassiri, Aurash Naser-Tavakolian, and David Ginsberg each declare no potential conflicts of interest.